In 2017, over 15.8 million hectares of forests and trees were destroyed, making that year the second worst in history for tree loss. When reading about statistics like this one, we can’t help it but feel extremely sad and desperate about our planet’s future. However, you should never stop believing in the good side of people who prove that, no matter how bad things get, good will always prevail. The Elite Indian would like for you to see 20 photos showing that nature still has a chance and environmentally sensitive and respectful people are the sole reason. 1. Even the smallest tree matters. 3. We don’t need to destroy nature in order to build walls. 4. Turning a degraded logging landscape back into a green paradise. 5. It’s right where it should be. 7. After 16 years, 1,000 truckloads of orange juice byproducts gave life once again to a Costa Rican rainforest. 9. There’s nothing more rejuvenating than having a tree in your house. 10. Trees don’t really ask us where they can grow. 11. Solutions are there, but only if you put your mind to it. 12. Build houses around trees, not over them. 13. Apartment buildings are no longer limited to being concrete monstrosities. 14. 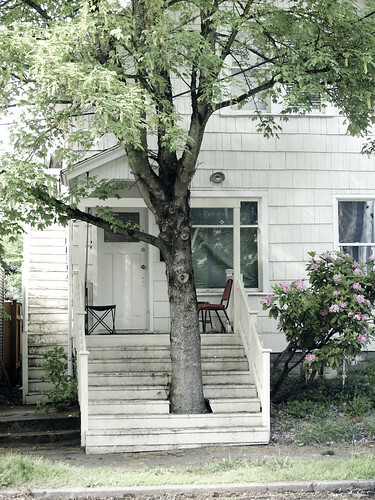 Trees will grow wherever they find the necessary space they need. 15. Capable architects know how to preserve nature. 16. Even in places where nothing grows, flowers can still pop up. 17. The grounds may had been dry at this site in Haiti, but people managed to grow trees there. 19. Trees are way more precious than fences. Which one of the above pictures made you realize that there’s still time to preserve nature? Please share your thoughts down in the comment section.